Avengers Alliance - Team up with the Avengers, Spider-Man, and the X-Men, as you begin your mission as an agent of S.H.I.E.L.D. Harness the power of ISO-8 before Dr. Doom, Loki, and the world's most powerful villains beat you to it. Recruit your favorite Marvel Heroes like Thor, Iron Man, Captain America and The Hulk, gear up and Assemble in Marvel: Avengers Alliance! - Complete all of the Special Operations (Spec Ops) missions to earn new heroes before they’re available for purchase! 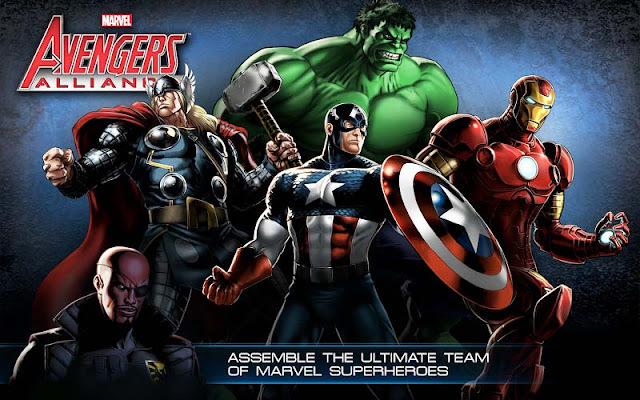 Avengers Alliance: install APK and play the game!